If you’ve recently splashed out on a new digital SLR, such as the Olympus E-420 we've reviewed here, then you’ll need some where to show off your snaps. 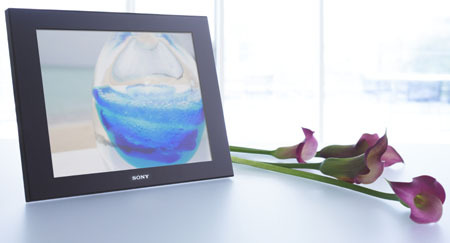 Sony knows this, so it’s unveiled two LCD photo frames. The main difference between the D80 and the D100 is display size. Whilst the D80 has a decent 8in viewing area, the D100 boasts a more spacious 10.2in screen. Another disparity is that the D100’s only available in a glossy black frame - the D80 comes in black or brown. Both frames display images on 800 x 600 pixel resolution screens and in 4:3 formats. Users can flip either frame to sit horizontally or vertically because, much like many existing digital frames, images can be displayed in either orientation. Each frame has 256MB of storage capacity available and supports a range of memory cards, such as SD and Memory Stick. 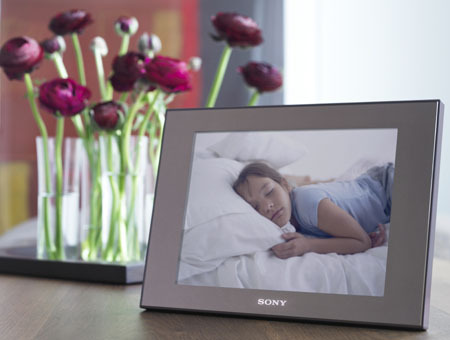 Pictures can also be transferred from PC and onto the frames over USB. A handy wireless remote is thrown in and the clock/calendar mode allows you to set a wake-up alarm. Both Sony frames will be available in October, but prices haven’t been released yet.